The Catherine earrings offer an alternative breed of devotion. 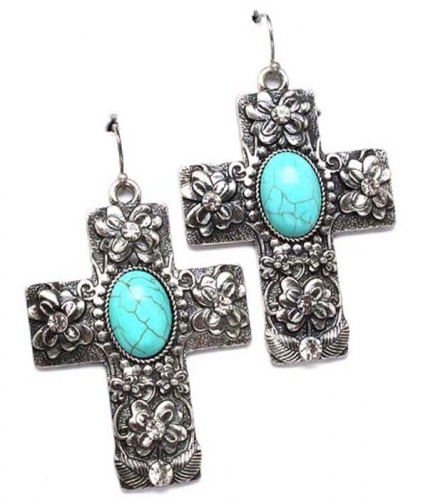 Showcasing Renaissance-inspired detailed metal work on an antiqued silver cross pendant, featuring an oval turquoise stone. Totally cultish and classic. Get fantatsic value when you buy your fashion earrings at Oz Bling.